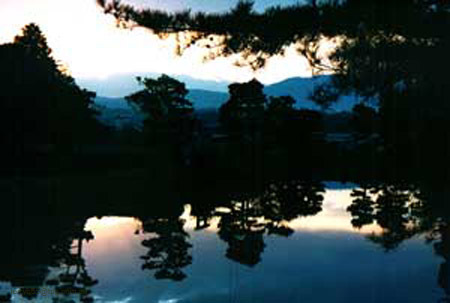 Burial Mounds Surrounded by Moats in Nara. Nestled in the suburbs just 100m from Heijo Railway Station, the closest to San Wa Mansion and the first stop of Kyoto bound trains after leaving Yamato Saidai Ji Eki. Looking West to Osaka.